A group of Democratic delegates have sent out a letter calling on fellow party members to oppose the Trans-Pacific Partnership trade agreement ahead of final votes on the party’s platform at the Democratic National Convention. "It must make clear that we oppose the TPP because if its failure to meet the high standards we believe should be enshrined in our trade agreements. We must address head on those who would say they are for fair trade when in reality they would do great damage to the working people we represent," delegates in Connecticut, New Jersey and Ohio said in the letter, obtained by Politico. 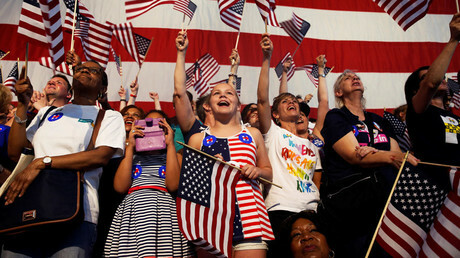 The letters, sent out on Thursday and Friday to Platform Committee co-chairs Connecticut Governor Dannel Malloy and Shirley Franklin, former mayor of Atlanta, were mailed just ahead of the 187-member Democratic National Committee meeting this weekend in Orlando. Trade is a hot issue in the 2016 US presidential campaign, especially for Democrats. Their presumptive presidential nominee, Hillary Clinton, has changed her position on the TPP agreement, signed last year among 12 countries that produce over 40 percent of the world's gross domestic product (GDP). US President Barack Obama has promoted the deal as a way of solidifying economic relations between the US and fast-growing Asian countries that surround China. The Obama administration plans to pass the agreement during the lame-duck session of Congress, after the November presidential election but before January, when the new Congress takes office. Opponents argue that economic benefits of the deal will go to corporations, not workers. They oppose the TPP based on concerns over a number of issues, including currency manipulation, environmental and health protections, food safety, pharmaceutical monopolies, offshoring of jobs, internet privacy, government transparency and local control. 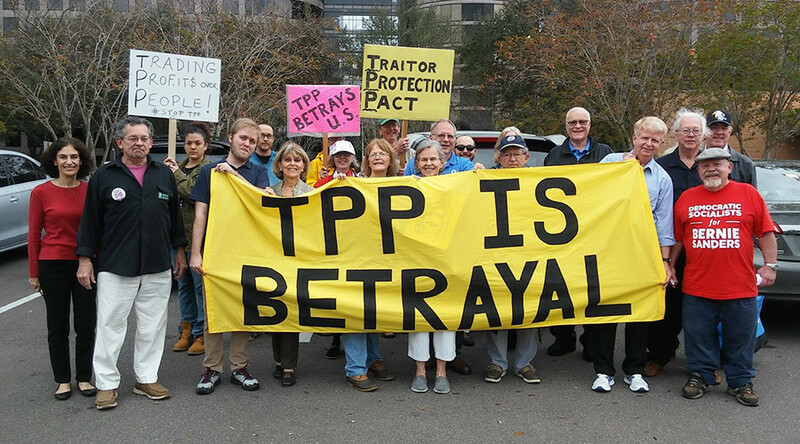 The TPP agreement is disliked by a large base of the Democratic Party and its voters. But Clinton’s shifting positions on the TPP remain a source of concern for the party that is due to pick a candidate at the Democratic National Convention, in Philadelphia between July 25 and 28. As a secretary of state, Clinton promoted the TPP deal as “the gold standard in trade agreements.” Her stance was revised in October when she claimed, "I did not work on TPP." If Clinton is indeed chosen to run and then gets elected as president, it will be difficult for her to rally Democrats for an agreement that a large proportion opposes. Furthermore, if Clinton chooses to nominate Senator Elizabeth Warren (D-Mass.) for vice president to run on an all-female ticket with her, the issue of TPP will likely produce a rift between the two politicians. “TPP isn't about helping the American workers set the [trade] rules, it's about giant corporations rig the rules on everything from patent protection to food safety standards – all to benefit themselves,” Warren said in the video, blaming the agreement for its secrecy and laying the blame on the people who helped promote it, ie, Clinton. This message is likely to keep the popular Massachusetts politician from joining the race with Clinton, despite the likely endorsement of her candidacy by Sanders. Sanders is expected to endorse Clinton in the coming week and has been focusing on pushing through a number of policies at the Democratic Platform Drafting Committee, with an amendment opposing any congressional vote on the Trans-Pacific Partnership. “We have got to do everything that we can to defeat Donald Trump and elect Hillary Clinton,” Sanders said. “I don’t honestly know how we would survive four years of a Donald Trump."